We are the leading manufacturer of Medical Autoclave is a device that used steam to sterilize equipment and other objects. That means all bacteria, viruses, fungi, and spores are inactive. We are offering the Medical Autoclave that is used in scientific research institutions, universities and in health services. 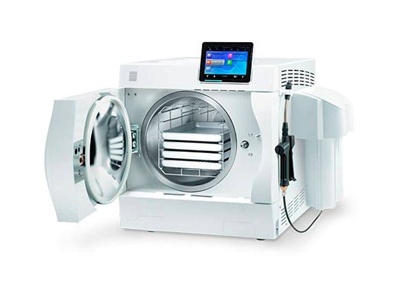 We are offering the best quality Medical Autoclave. These products are exactitude engineered by a team of highly qualified and skilled professionals from high grade material using innovative technology at the vendor’s base. Our products are much admired by the client’s for their fine finish, less maintenance, sturdy construction and innovative design. This is used for sterilization of dressing material, linen, surgical instruments; rubber and plastic material is done by using high pressure, electrically heated vertical steam sterilizer.